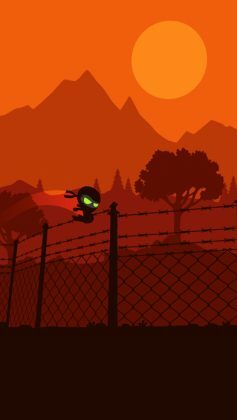 Home #ADDICTIVE Breakout Ninja – Timing is everything! Breakout Ninja – Timing is everything! 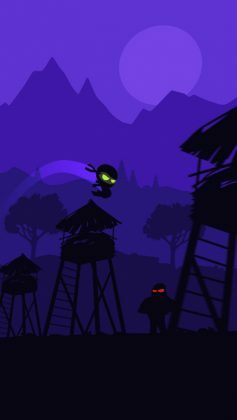 Breakout Ninja is a moderately paced Ninja style runner game that is anything but quiet. Set in an enemy camp(?) 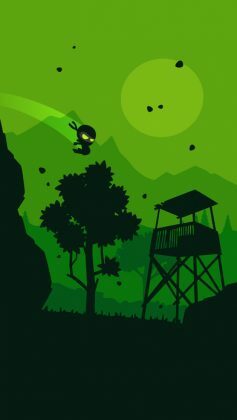 judging from the graphics, your mission in this game is to jump over spiked walls, smash through lookout towers, and flying kick enemy soldiers right in the head! The game is played a little like a rhythm game and is played by tapping on the screen the moment your player is inside an action point circle in order to automatically jump, kick, dash, etc. Pretty simple. The game itself is fairly easy to figure out and should take you just a few tries to master, which leaves you with time to admire the beautiful graphics! The graphics in Breakout Ninja are far more than we first expected. 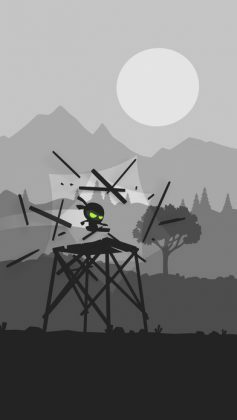 With high-quality 3D graphics layered in such a way as to create a 2D/3D parallax effect, this game is almost as fun to watch as it is to play. Which is a good thing, because the action in this game, especially in the higher levels is really something to behold.